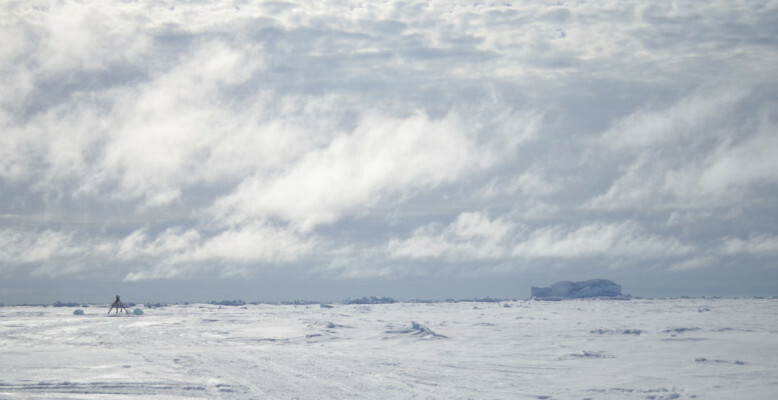 The strong winds of the last couple of days complicated the work on the ship and on the ice. Not only do you constantly have to keep an eye to prevent your stuff from flying away, it also makes it very cold. The people that go to work outside put on an extra layer of clothes and cover up as much bare skin as possible. Some equipment that is used to do measurements from the ship is either too heavy or too light to be used while the wind is blowing so hard. So apart from the ice conditions, the local weather is an important factor determining whether or not the work can continue as planned. Strong winds are not very common during this season in the Arctic. 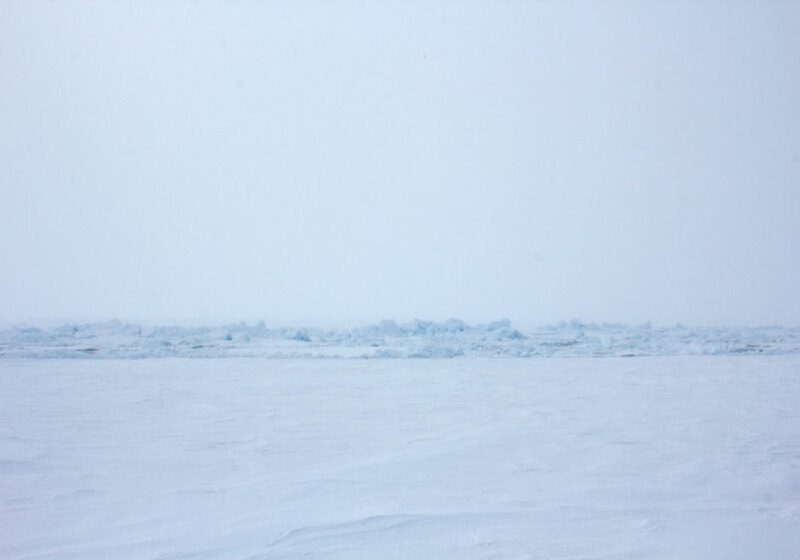 “-The Arctic is the graveyard of depressions”, explains weather man Max Miller, “lows are dying in these high latitudes”. 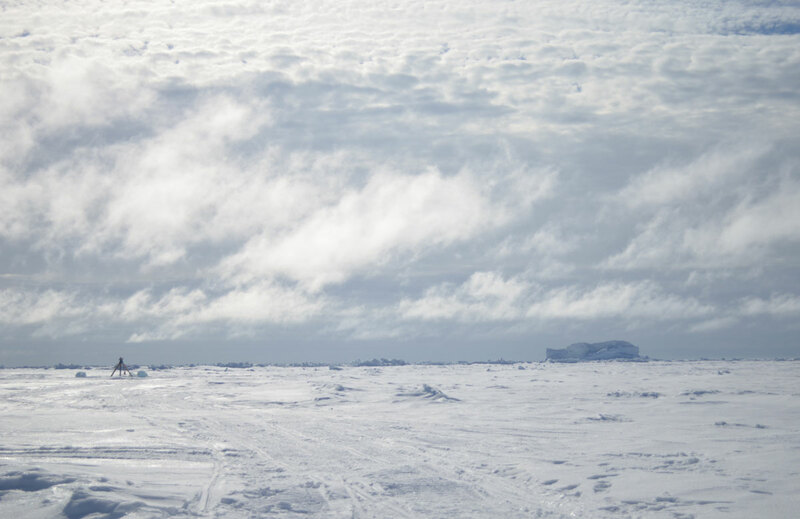 Because the weather is such an important factor, there are two meteorologists on board Polarstern who constantly update the captain and officers, the helicopter crew and the chief scientist. During the evenings, all people get a daily weather forecast to prepare them for what’s coming. 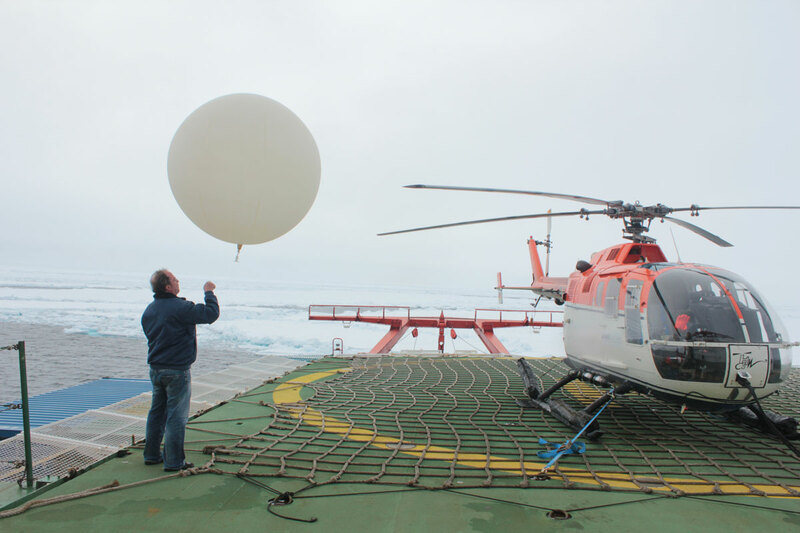 Today it is the birthday of Hartmut Sonnabend, the other weather man, who has been working on Polarstern since 1987. Every day at noon he releases a weather balloon carrying a device that measures pressure, temperature and humidity, wind direction and wind speed while making its two-hour journey throughout the sky. 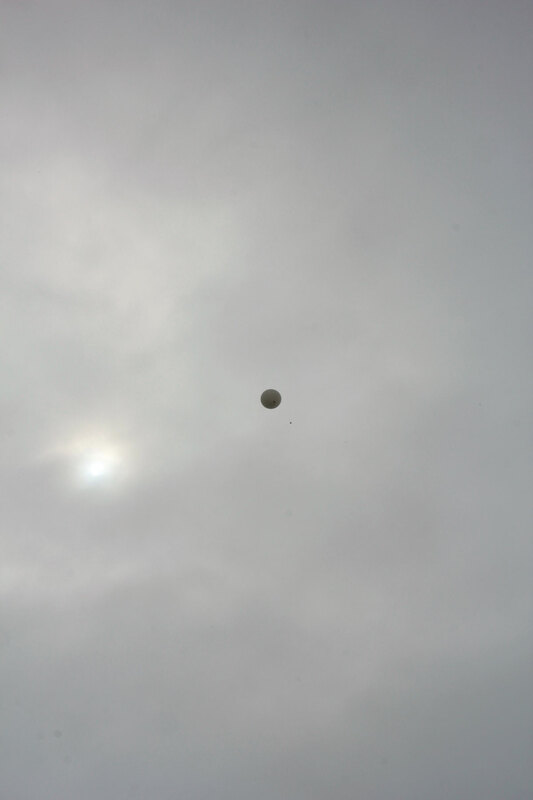 When reaching approximately 35 km height the balloon explodes, and the atmospheric profile of the day is ended. The measuring devices are themselves lost, “Once it happened that it actually landed back on the deck, after falling to a height of 28 km”, Hartmut remembers. The balloon data are transferred in real-time to the ship and used on board for estimating the local weather and the development of the ice conditions around us. But most important is that these data are feed into global meteorological models which are essential for forecasting the weather worldwide. During the rest of our cruise the weather has been variable. 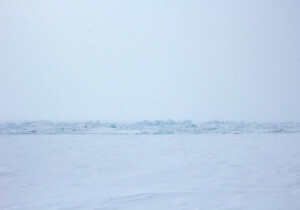 Sometimes low hanging clouds in combination with the snow and ice make the world look completely white. Other days the sun shines through the clouds resulting in spectacular looking skies. Fortunately, as of yesterday, the wind abated making the working conditions somewhat easier. Everyone agrees that the weather is something that can be forecasted, but there is however nothing we can do about it. Written the Monday blog team: Fokje Schaafsma, Hauke Flores and Anna Nikolopoulos.